Roan Inish is the name of an island, not the little girl, in this movie few people have seen. 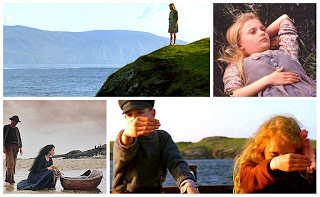 The Secret of Roan Inish came out in 1994 and is rated PG, though I can't imagine why it's not rated G. It's definitely a family movie, as children especially will enjoy the magic and mystery in the tale of Fiona, a sweet young Irish girl, searching for her baby brother who was lost at sea. The film is heartwarming, rich in Irish culture, and is accompanied by distinctive Irish fiddle music that immerses you in this story about legend, lore, and family. The movie was filmed entirely in rugged and mountainous County Donegal, Ireland, a haven of Gaelic culture and the Irish language. (You might have to turn on the English subtitles for the kids.) The visuals in the film are mainly of the jagged coastline, the small outlying islands, and the untamed sea. Donegal is actually a tourist destination among the Irish and foreigners, as well. Popular attractions are a Victorian castle, called Glenveagh Castle, and a 35,000 acre nature reserve, called Glenveagh National Park. Sounds like something my kids would like! Well, except the not being able to understand the brogue part. ;) They're too young to read subtitles. But, the movie sounds a little like Nim's Island with the whole lost at sea thing and the island. My kids love adventure movies. Your blog is very cute! Thanks for stopping by mine. I'm following you now!